The law is not the only reason you should have carbon monoxide detectors installed in your Scranton area home. Installing carbon monoxide detectors also helps keep you and your family safe 24 hours a day, 365 days a year. If you don’t already have carbon monoxide detectors installed in your home, or your current ones are old and it is time to replace them, contact T.E. Spall & Son for carbon monoxide detector installation in Scranton, PA. Carbon monoxide is a gas that is odorless, tasteless, and colorless. Because of these traits, it can be impossible to detect without a properly working detector. Carbon monoxide can come from many sources (your clothes dryer, water heater, fireplace, oven, or even a car left running closed up in the garage) and is potentially fatal if you breathe it in for an extended period of time. These symptoms are often passed off as colds, flus or viruses. No matter what type of detector you use, once the alarm sounds, it will not stop again until it is in a space with no traces of carbon monoxide. As Scranton’s heating, cooling, and indoor air quality specialists, we want you to be as safe as possible in your home. To do so, we offer comprehensive carbon monoxide installation services in Scranton and its surrounding communities. Call to learn more about our Scranton carbon monoxide detector installation services and our NSI 3000 Low-Level CO Monitor. When installing or replacing carbon monoxide detectors, it is important that you install enough devices to cover your entire house. It is also important that your carbon monoxide detectors are strategically placed in your home to detect any abnormal CO levels before you feel their effects. Hiring a professional HVAC contractor for carbon monoxide detector installation and replacement in Scranton, PA will ensure that they are installed correctly, that you have enough installed throughout your home and that the detectors are actually working. 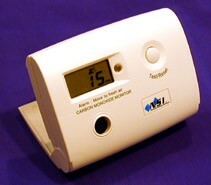 If you would like to protect your family and pets from carbon monoxide poisoning, call The Comfort Doctors at T.E. Spall & Son. We can help you install the right type of carbon monoxide detectors throughout your home so that you will be alerted when carbon monoxide is detected in your home. For carbon monoxide detector installation in Scranton, PA and its surrounding areas, contact us online or call 877-591-7508.